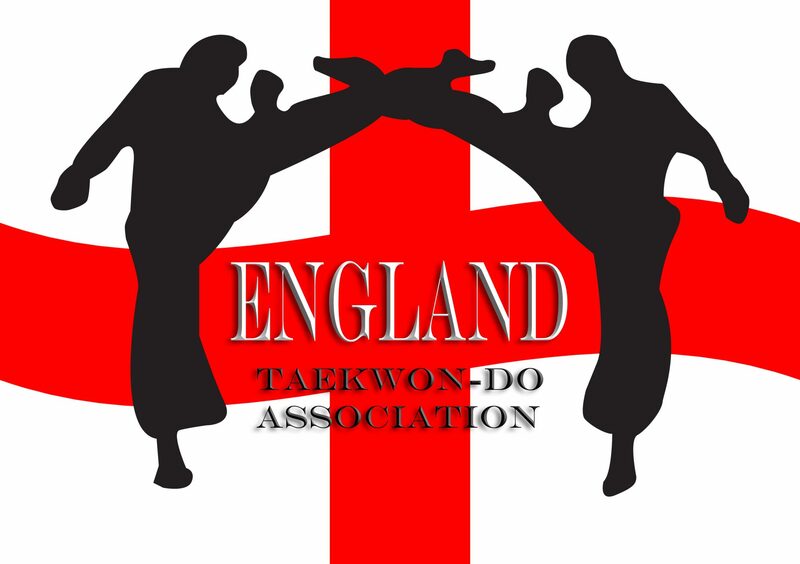 England Taekwon-Do Association held another instructors seminar on Sunday 08th January 2017. 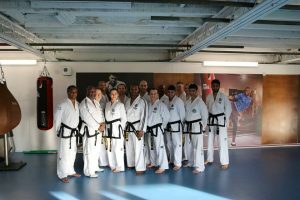 The seminar was hosted by McKnight Taekwon-Do School, Bedford and was held at the Lonsdale Gym, Bedford Football Club, Meadow Lane, Bedford. The aim of the seminar was to provide instructors / black belts with a dedicated training session covering fitness and patterns. The idea is to ensure that all instructors are teaching in the same way and have a full understanding of the technical aspects of patterns, therefore providing the best knowledge to students allowing them to successfully progress through their gradings to black belt. The seminar was attended by black belts from as far as Newcastle. It is very pleasing to see ETA members putting in that sort of dedication. The seminar started at 10am with a ‘gentle’ warn up taken by Mr Piotr Capaja. For anyone who knows Mr Capaja, a gentle warm up for him is a marathon for us mere mortals. We survived it, just about before he handed over to Grand Master Ellis and Master Denis. We started the session with four directional block. Too easy for a room full of black belts you may think. As most people know, Grand Master Ellis’ standards are extremely high. What we think is acceptable falls below his level of acceptance. Still, we got past four directional block just. It’s amazing what small mistakes were being made and even more amazing that Grand Master Ellis was seeing them from the other side of the room. After the basics, the first degree’s were taken aside by Mr Charlton to run through their respective patterns. The rest of us moved on to the second degree pattern Eui Am. I thought I knew the pattern well, but Grand Master Ellis showed me that I did not. Still, it was fun learning how little I knew of the pattern and also fun learning the corrections. I now need to remember the corrections before Grand Master Ellis see’s me doing it again, or else!!! I am sure lost of students can relate to that. He never forgets what he’s corrected a student on, so be warned readers. If he shows you corrections, he expects to see those corrections in the future.